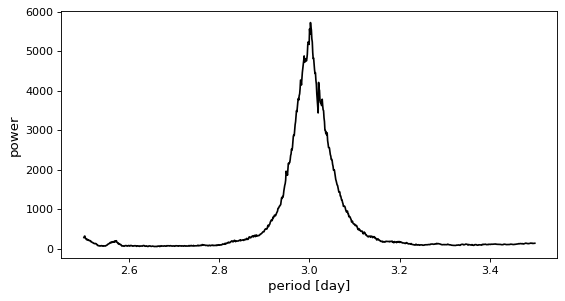 The “box least squares (BLS) periodogram”  is a statistical tool used for detecting transiting exoplanets and eclipsing binaries in time series photometric data. The main interface to this implementation is the BoxLeastSquares class. This equation might be familiar because it is proportional to the “chi squared” \(\chi^2\) for this model and this is a direct consequence of our assumption of Gaussian uncertainties. This \(\chi^2\) is called the “signal residue” by , so maximizing the log likelihood over duration and reference time is equivalent to computing the box least squares spectrum from . 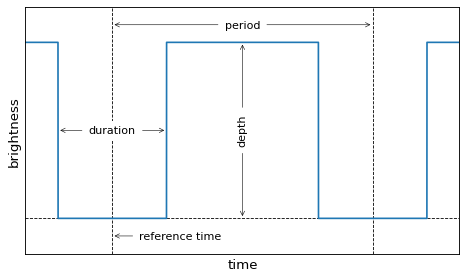 In practice, this is achieved by finding the maximum likelihood model over a grid in duration and reference time as specified by the durations and oversample parameters for the BoxLeastSquares.power() method. Behind the scenes, this implementation minimizes the number of required calculations by pre-binning the observations onto a fine grid following  and . 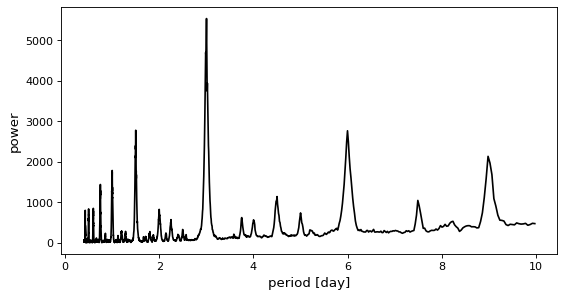 In this figure, you can see the peak at the correct period of 3 days. 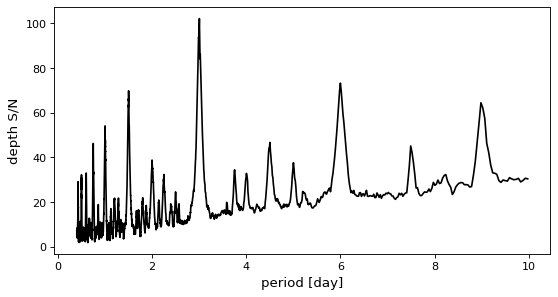 This objective will generally produce a periodogram that is qualitatively similar to the log likelihood spectrum, but it has been used to improve the reliability of transit search in the presence of correlated noise. 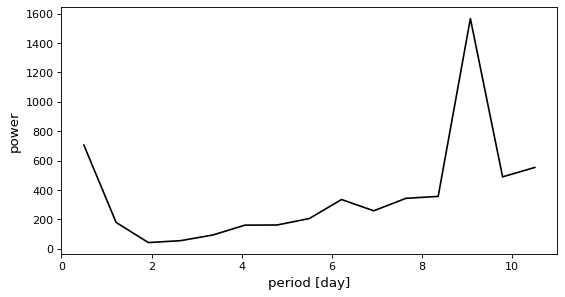 However, if the period grid is too coarse, the correct period can easily be missed. This calculates a dictionary with statistics about this candidate. Each entry in this dictionary is described in the documentation for BoxLeastSquares.compute_stats().